Will Backlinks Ever Lose Their Importance In Google? When Google started off as a basic search engine in its infancy, it had none of the fancy search algorithms. The sole indicator of how relevant a content is to a set of keywords was the frequency of the keyword within the content, and the only way to rank one website over another was by looking at how many backlinks does a site have. However, much has changed now, and complex algorithms like the Penguin and the Hummingbird take search results beyond string matching. The emphasis has now shifted from backlinks to content, but does that mean backlinks will fade away into oblivion? Backlinks probably still have many many years left in them, but inevitably, what Google is trying to do is, figure out a way to fulfill the information needs of the users. Some times, backlinks can help the search engine decide whether a certain page serves its purpose. They are helpful in finding out what the reputation of a site or a page is. But for the most part, people care about the quality of the content on that particular page - the one that they landed on. So over time, backlinks will probably become less important. If Google really could be able to tell when an article was written by an expert, that would help it understand the context, and sort of 'mark' it as a useful source of information for its users. 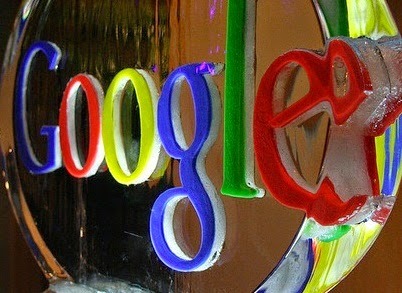 Right now, Google is working on establishing authorship for the content around the web. Google is also getting better and better at understanding actual language, and one of the big areas it is investing in for the coming few months is conversation search - the sort of search where you could talk to a machine, and it would be able to understand what you're saying, instead of just picking up on keywords and matching them with content found around the web. In order to understand what someone is saying - like "How old is Barack Obama", or "Where was he born" - to be able to know he is referring to, that's the sort of thing that requires understanding of natural language. As Google gets better at understanding who wrote something, and what the real meaning of that content is, inevitably there will be a lesser emphasis on links over time. Yes. It's a great progressive step. Now content will get more value than just mere link building. backlink is very important issue now a days against google it should be solve now. Thanks a lot for sharing this post. It is really informative!